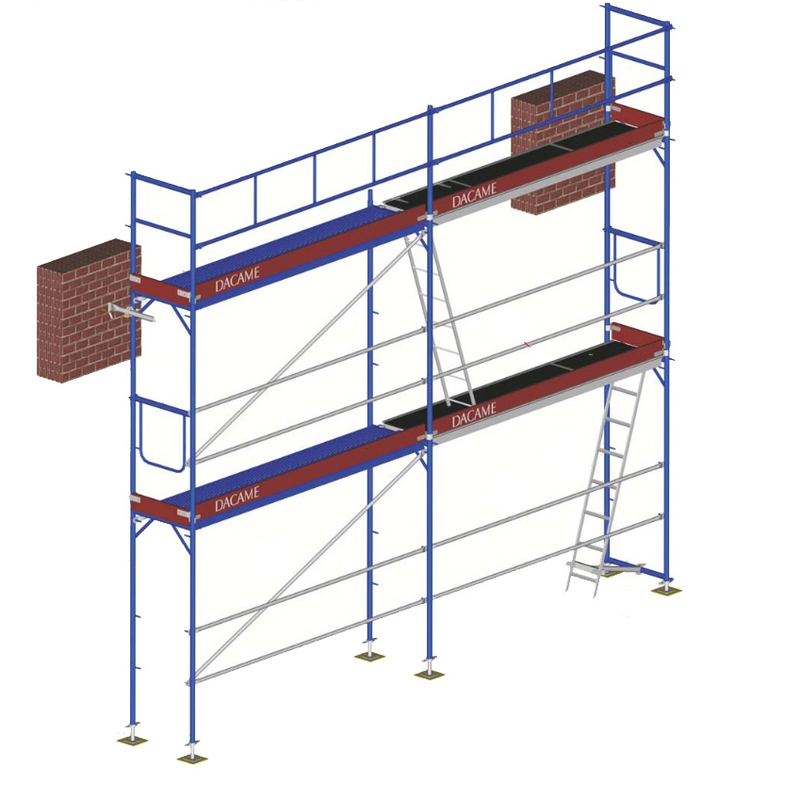 The design of the European Frame Scaffolding FREE 48 is based on the The Certified Scaffolding DINO 48, although its weight has been optimized to improve the assembly process, without sacrificing the benefits of the European Frame Scaffolding. The versatility of its design means it can be adapted to any need and it allows for a multitude of different assemblies, requiring few components. Steel tube (frames) ø 48 mm. St-44. Available modules: 2 – 2,5 – 3m. Electrolytic galvanized or epoxy-coated.